A list of actionable items to help you deliver quick wins across your entire marketing program. As a digital marketing agency, we typically begin our new client engagements by identifying the action items that will move their needle most rapidly. We call these “quick wins” because they’re the best way to start showing these clients what we’re capable of, as well as allow us to begin delivering a positive return on their new marketing investment as quickly as possible. After all, the quicker we can reach the goals we’ve helped them set, the more likely we are to establish a long-term relationship. We set out by working through our proprietary list of “go-to” problems (those we know to be most common). This allows us to determine the best way to go about delivering positive outcomes. In each of these sections, we’ll be giving you top examples of typical issues that most brands face. These will help you understand what to look for when you go through the process of auditing your marketing. By the time you finish this article, you’ll have a much clearer picture of how to exploit your quick wins and produce the most dramatic impact possible in a short time frame. The vast majority of people who reach your website will NOT be ready to buy from you. However, the vast majority of websites direct their marketing message towards that slim fraction that are. Rather than alienating the rest of your visitors or scaring them off with a pushy sales message, why not get them interested in learning more about what you have to offer? Open up your copy, graphics, and offers to the those still learning about the problem your product or service hopes to help them solve. Hit them with tons of valuable information and resources to help them better understand their problem and their options for solving it. 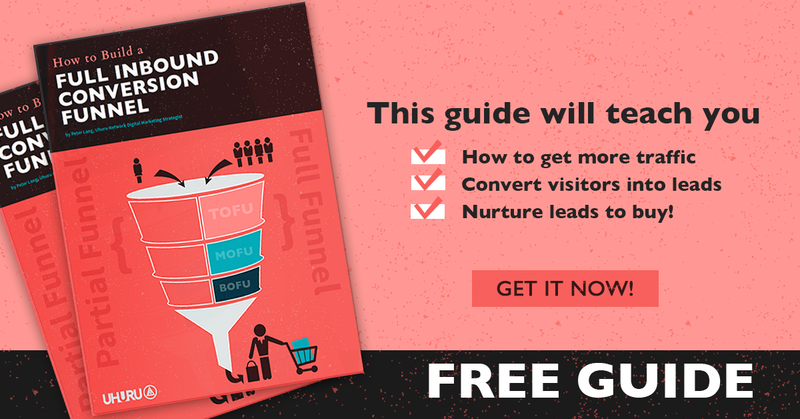 You’ll see you’re able to convert far more visitors into leads and eventually nurture them towards a conversion/sale. If you don’t have any valuable information to offer, it’s time to start creating some content to fill that gap. While it may sound like a lot of work, you’ll see how you can leverage that content in multiple ways to deliver multiple quick wins. Remember, quick wins are those that deliver the highest impact with the lowest resource requirement. Being able to use this content on your website, lead generation, SEO, and paid advertising means that you’ll be to deliver quick wins across your entire marketing program. If you’re short on time (or budget) the homepage is a great place to start making changes. Your homepage is likely your most visited page and the one that visitors reach first. As such, it’s vital that this page make the best first impression and help visitors find exactly what they’re after. Starting with your home page will allow you to test how your visitors respond to each of the changes in this list, and whether or not they truly represent a quick win for your company. One of the most effective ways to gain the attention of your visitors is to hit them with a popup on arrival. If there is a certain action you want them to take or a direction you want them headed in, this is your chance to give them a nudge. For example, if you’re trying to build your email list and looking to convert your visitors into leads by capturing their contact info, you may find it more effective to hit them with a popup for your new downloadable content offer than it would be to simply leave it up to them to find another CTA or your Resources page. If, say, you were ready to convert your new ecommerce visitors into customers right off the bat, offering them a 15% discount on their first order may mean the difference between completing their purchase with your store than with a less sophisticated competitor. The point is, popups are extremely easy to implement and take very little time but can have a dramatic impact on conversion rates. We can’t think of a better way to define a quick win. This one is pretty straightforward. If your website uses stock images to tell your story, it’s very likely you’ll see an increase in visitor trust by switching them out for real photos of your operation. People buy from those they trust, so more trusting visitors inevitably lead to more sales. Hiring a professional photographer is always recommended, but even high-quality shots taken by a member of your team will go further in establishing that trust than an assortment of photos from Shutterstock. We’ve become a society of instant gratification junkies. While that means we can binge-watch an entire season of our favorite show at a moment’s notice, it also means most of us will get fed up with longer page load times. First off, you’ll need to test your site to determine whether it’s considered to be slow. Even if you think your site is performing well, we recommend testing your pages. Google prioritizes fast-loading pages, so improving the speed of your site could even have an impact on your organic rankings. This is especially true on mobile! Be sure to use Google’s tools to run your tests. The link will also provide you with plenty of best practices for improving the speed of your site on all devices. Oversized Images or Media Files – Keep your image size optimized for the web. Whatever platform you’ve developed your site on should allow you to scale your images down. Aim for a blend of the smallest file/pixel size and the highest noticeable clarity and sharpness. Hosting – Make sure your hosting isn’t holding you back and switch if it is. This can be a big problem for more complex, media-rich sites. Getting your website running more quickly could provide a big boost to your user experience which may create a noticeable increase in your conversions (and other priority metrics across the board). Most brands participate in some form of paid advertising. Whether that budget ends up on Facebook or AdWords makes little difference. The mistakes we see our clients and prospects making are often the same. One of the biggest mistakes we see brands making is running ads that are competing with one another ad. Audience overlap is an all too common problem that drives cost per action up and, as you can imagine, returns down. By refining your approach and advertising each campaign (with the same objective) only to a unique, highly targeted audience, you’ll avoid spending more money to deliver fewer results. Sure running multiple variants of your ads is a great way to test them to determine which is most effective, but avoid targeting the same audience with multiple ad sets or campaigns just because you’ve advertised to that audience successfully in the past. The more you end up showing to the same audience, the more it might end up costing you to achieve your goals. As we mentioned above, one of the most common problems with targeting both on Facebook and AdWords is targeting. While audience overlap is one of the problems associated with improper targeting, it’s certainly not the only one. Many brands make assumptions about who they should be targeting, so they advertise to those groups without a clear understanding of whether or not their ads are reaching the right people. One of the best ways to understand who you should be marketing to is by creating semi-fictional representations of your ideal buyer, often referred to as buyer personas. These personas can be used to identify the traits of your ideal buyer and determine the most effective audiences to target. Try testing new audiences and to determine which deliver the best results. Also, remember to rotate audiences when possible to keep what they see fresh and relevant rather than annoying or bothersome. Speaking of keeping things fresh. It feels great when you hit a home run with a campaign, and your ads prove to be super effective. However, no matter how great your ads are, if you continue to show the same ads to the same audience, they’ll eventually become far less effective. As such, it’s important to keep creating new ads regularly. For example, at Uhuru, we often create new ads for our clients every week or two depending on their performance. Displaying fresh ad creative with this level of frequency allows you to keep your audience from getting tired of the ads they’re seeing. It also allows you to learn more about what audiences like and don’t like to see from your ads. Whenever you create a new campaign, be sure to test multiple versions of your ad graphics and copy to determine which ones work best for your target audience. No matter how great you think your ads are, it’s important to test alternatives to make sure you always hit your mark. One of the ads/ad sets will typically perform far better than the others, which gives you the opportunity to pause the underperformers and put your budget behind the best option. Furthermore, by running multiple variations, you get a deeper understanding of what types of ads your audience responds best to in a shorter period. Documenting the defining characteristics of these high performers AND low performers will help you learn what your audience likes and dislikes so you are more likely to create high performing ads in the future. The more frequently you change up your ad creative, the more rapidly you’ll be able to optimize your paid advertising, and rapid optimizations are the name of the game when it comes to exploiting quick wins. One of the best ways to secure a quick win for your paid advertising is to implement retargeting. If you’re already using this powerful tool to improve your ads, we’d like to bet you’re not using it to its full potential. Retargeting is marketing to people who have already visited your website. These past visitors know and have a relationship (however brief) with your brand, making them far more likely to buy. They have all shown interest in what you have to offer, again making them far more likely to purchase from your company. Plus, it’s quick and easy to implement. A simple snippet of code called a pixel is added to your website to help Facebook or Google track user actions on your website. You can then utilize this user information to create custom campaigns to target various stages in the buying process. For example, if someone viewed a product page or added a product to their cart, you can show them ads for that product and even include a discount to incentivize the buyer to return and complete the purchase. Retargeting is easily one of the most powerful tools advertisers have available to them and indeed represents one of our most highly recommended additions to your marketing strategy (and a quick win at that). For more on how to retarget most effectively on Facebook, be sure not to miss this 10,000-word FREE resource, no download required. Content marketing isn’t typically used as a way to deliver quick wins to clients. Most view content as a way to slowly rank in the search engines and build consistent, predictable traffic month over month. While it does all of those things, it’s also quite useful in the immediate to support quick wins you’re making elsewhere in your marketing. First of all, unless you’re a new business, you likely have a certain amount of traffic coming to your site every month. The vast majority of that traffic will NOT be ready to buy from your company upon arrival. Many will not know they need what you offer. Others will understand but not be ready to buy before they identify and vet their options. However, you can create content to introduce awareness-stage visitors to the benefits of doing business with a company like yours or educated consideration-stage buyers on why your products are the best choice to solve their particular problem. For example, if your organization sells travel insurance, you could create a guide on the “Top 10 Ways to Plan the Perfect Vacation” and include travel insurance as one of the tips. From that post, you could link to the “Ultimate Guide to Travel Safety” that contains a section on travel insurance for people interested in learning more about travel insurance, but still not ready to buy. With these posts in place, you’re able to cater to the needs of far more of your website traffic, allowing them to enter into your marketing funnel far earlier than if you were to hit them with a decision-stage message straight away. Finally, by getting this type of informational content published on your website, you’ll begin to earn some attention from search engines. While SEO isn’t a game for those in the market for quick wins, the added benefits of this type of content creation cannot be ignored. For more on how to create effective content that engages your potential customers and ranks in the search engines, be sure not to miss this powerful guide on content creation. While your content will support your existing website traffic, it can do much more. By using paid ads to promote your blog posts or guides to highly targeted audiences, you’ll be able to reach your buyers far earlier in the sales cycle/buyer’s journey. For example, let’s say you run a data analytics software company for large corporations and you’re used to running ads to sign people up for a free trial of your product. You’d only be able to effectively run those ads to people who were already looking for data analytics software. Now let’s say you created a guide to the “Top 10 Enterprise Benefits of Big Data Analysis.” You could promote that guide via paid ads to CTOs and other executive positions who may not necessarily be in the market for your product but would benefit from the information found in the guide. By getting them to read the guide you’ve begun to foster a relationship between the executive and your brand. Furthermore, by capturing their contact information you’ve earned the opportunity to keep in contact with them and nurture them toward a sale in the future. If you’re already creating content, here’s your pat on the back. However, it’s probably safe to say that a lot of your content could be upgraded to be used more effectively. This option allows you to take good pieces and make them great. It saves you the time involved in creating new pieces but earns you more traffic and new ways to use the articles. To effectively upgrade your content, take a closer look at what is currently ranking and do your best to expand your resource to be more comprehensive and provide more valuable information than the best article on Google’s first page. You’ll also want to identify additional keywords you may be able to rank for and sprinkle them into your post. Using latent semantic indexing-friendly keywords is a great way to earn more traffic from each blog post, AND provide Google with the context it needs to understand what your article. You may find that you’re able to combine two or more piece of old content into a single “super post.” If you have old posts that aren’t strong enough to rank or provide much value on their own, look for ways to combine them with other relevant posts to create more comprehensive resources or mega guides. You may not think of deleting your hard work as optimizing your content, but it certainly can be. If your posts don’t provide much value to their readers, they could have the opposite effect and reflect poorly on your brand. This also holds for the way Google views your content. Short, “less-than-valuable” posts can hurt your rankings. If your site is full of posts that nobody is reading and your visitors don’t care for, Google takes that as a sign that your content isn’t worth showing in its organic rankings. It may even determine that your site as a whole has less domain authority and is less worthy of these coveted rankings. Finally, some of your content may be old or outdated, but time/date sensitive and not possible to bring up to date. Anything that has to do with the out of date information should be removed from your site. Take the time to delete these pages, and you’ll be delivering the best user experience, more value to your visitors, and helping Google see only your most relevant and valuable content. Using an SEO plugin like Yoast will allow you to begin optimizing your content automatically. Yoast analyzes each page of your website and gives recommendations on how you can optimize the content. While it’s far from expert-level SEO, it’s a powerful tool to get you started, especially if you’re new to content marketing and looking for a way to make sure your content is up to snuff. Use a tool like Screaming Frog to make it much easier to identify and fix technical errors that you may typically have a hard time identifying. The process is automated and helps to solve issues like 404, 500, and 503 errors that Google would otherwise be penalizing your site for. Using tools like this helps to quickly identify issues that wouldn’t usually be apparent to less SEO-savvy marketers, as well as presents the opportunity to get more out of their content creation by optimizing their posts. In any marketing scenario, a strategy is the key to success. While it may seem like you have the perfect roadmap to implementing changes that will improve your bottom line, it’s vital to understand how everything fits together. Take the time to select quick wins that work synergistically so that you can deliver the ultimate impact on your marketing. While some of the items on your list may represent an excellent opportunity all by themselves, we urge you to identify other optimizations that will improve your results across the board. Rather than focusing on improving your paid ads, content, or website one by one, look for ways to improve as many as you can with a few optimizations as possible. The key to effective quick wins is generating the most impact with least time and resource allocation possible. Great list. Retargeting is a great way to capitalize on low-hanging fruit. It’s amazing how often that gets overlooked in a paid strategy.